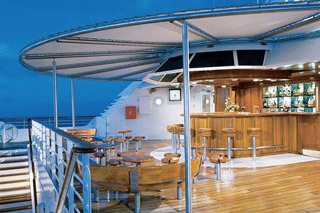 Deck Eight features The Yacht Club, Sky Bar & Grill, and the Sun Deck. Deck Seven features The Bridge, Radio Room, Beauty Salon, WindSpa, Fitness Center, whirlpools, the Pool, Veranda, and Candles. 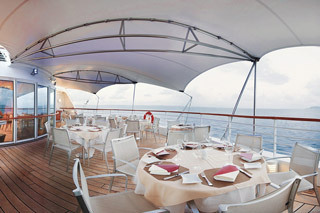 Deck Six features suites in categories OW, BS1, and S3, as well as the Signature Shop, Library, the Casino, and Compass Rose. 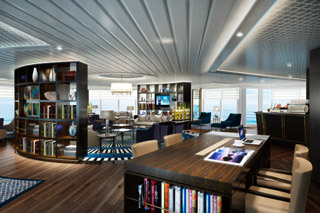 Deck Five features suites in categories CS, BS, and S2, as well as whirlpools, the Purser's office, Reception, the Card Room, Destination Services, Computer Center, and The Lounge. 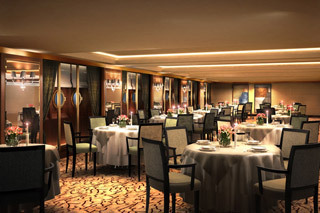 Deck Four features suites in categories S1 and S.
Deck Three features the Medical Facility, the Galley, AmphorA, and Watersports Marina.